Dazzle and Sizzle: Do you want luscious long locks ? Do you want luscious long locks ? Well, who doesnt want luscious long locks but it isn't that easy. Long hair often looks bedraggled and lacks lustre. So the best solution is to have hair extensions ! I get so many compliments when I wear these. Dont they look absolutely real? I am so in love with these and I believe that they are a MUST HAVE! 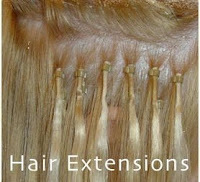 There are 2 types of hair extensions - permanant ones and clip on ones. Here , I am talking about the clip on ones. They are alot more convenient and comfortable where as the permanant ones can be a lot of hassle.Since they are permanantly bonded to your hair just like in this picture, you will have to be much more careful with them. Also , you will have to undo them every few months when the hair from the roots grow longer and the bonds become visible. This can be extremely damaging to your hair and lead to a lot of breakage. So why bother getting the permanant ones unless you are on the verge of getting bald :P and so I found the most perfect solution! 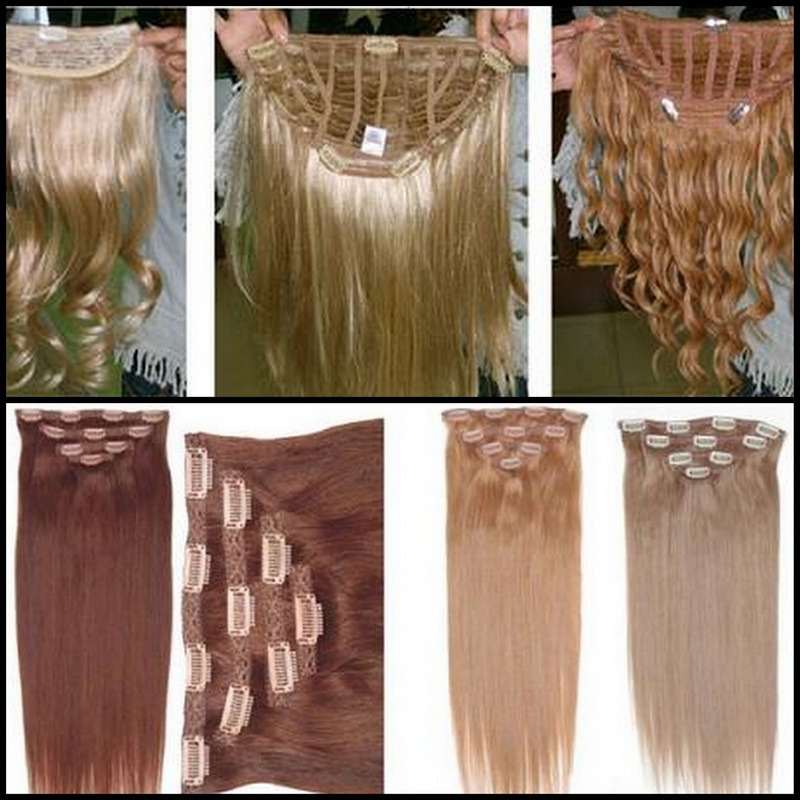 Clip on hair extensions! They are as simple as the name sound- clip ons ... just works like a clip and you have the Rapunzel hair.Perfect! These are available in all sizes, textures, colors and styles.There are clip on bangs and flicks available too but unfortunately I havent been able to find the right ones for me. I just LOVE these ! Now you really dont need to make all those efforts to grow your hair longer. I have some Indian weddings to attend this November and December in Delhi and I am just so excited to wear these with my sarees and lehengas . Long hair with Indian outfits..deadly combination! On the picture on the left, I am wearing these really cute pink and blonde clip ons highlights. They look hip...dont they? 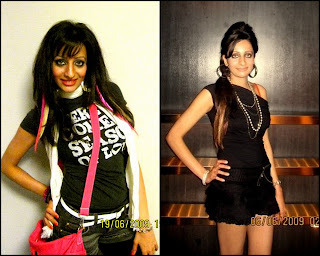 On an another night, I used a golden hair extension and it looked like a beautiful mix of dark brown and golden shade as you can see in the pic on the right. So if you have limp hair or short hair or just bored of your hair than pick up one of these and have some fun ! In Tokyo , I usually pick them up from Shibuya 109 or Toyosu Lalaport Mall. In Delhi (India) , you might get these from Kunchals ( M Block market ,GK ) or there is another shop around there which has wigs and stuff , so you can check their but I aint very sure of that.